Online advertising network and Yield Manager marketplace. Getting Acquired By and Working at Yahoo! After finishing over three years at Yahoo! and almost 3 years previous to that at Right Media, I thought it’d be worthwhile to write about my experience over that very interesting time and set of events. This is simply my perspective as I know that others at Right Media and Yahoo! had completely different opinions and feelings about everything that occurred from 2004-2010. That being said, let’s take a walk down memory lane. In late 2004 when my longtime friend Brian O’Kelley (currently CEO of AppNexus) reached out to me to see if I wanted to join a startup called Right Media. Brian was the CTO of Right Media and had built some interesting auction technology for their ad server. They wanted to start going more aggressively after publishers and he thought I’d be able to help with that effort. I had a good job I enjoyed at Palo Alto Software, a Eugene-based business that is the leader in the business planning software space. I had worked there for four years and was managing a small team running their ecommerce site PaloAlto.com, as well as their main content properties Bplans.com and Mplans.com. In my spare time at night, I also was operating a site I started in 1997 called Wakeboarder.com that I later sold in 2006. Despite the good job, I wanted the opportunity to join a younger startup and online advertising was a field that I had good experience in and was passionate about. My role was to do business development, product, and support work for medium to small publishers for Right Media’s ad network. Additionally, I looked forward to working with Brian again as we had started our first web business together in 1995 and worked together numerous times since (including a fun dot-com bomb in 1999). Right Media was a New York company, but when I joined I made it clear I had no plans to move from Eugene. Fortunately, Brian and the rest of the executive team (Michael Walrath, CEO and Christine Hunsicker, COO) allowed me to start building a publisher-focused team in Eugene. When I joined my wife was excited for me to be able to work from home since we had recently had our 2nd child. However, after a month I had already hired three great people and found office space. It was off to the races. When I joined, Right Media was an ad network with some interesting and differentiated auction technology that helped power the network. It had not yet become an ad exchange, but the ad network itself was growing well. I helped build Right Media’s self-service publisher signup, and we began bringing in publishers at a steady clip. it’s funny now to think back to 2005 and how we were talking to publishers like “TheFacebook.com” which was at the time a few young college kids who didn’t know much about advertising for their college social network. Not too long after getting the office space setup in Eugene the company started making the move to the crazy concept of an ad exchange. We had to go sell other ad networks who were our competitors to use the Right Media Exchange as their ad server or as an additional place to access supply and demand. It was a strange notion to many people externally, but it made a lot of sense to everyone within the company. Even then we didn’t know what would happen when we connected our ad network to another ad network to see how the buying and selling would perform on one platform. Fortunately, it worked quite well. The team in Eugene kept growing as we brought on engineers, account managers, and product managers to help support the publisher and ad network pieces of the exchange. The whole company was growing as well, but we were a startup within a startup. A bit of a strange concept, but we communicated with the team in New York well and I spent a fair share of time traveling to New York along with trips on the West Coast to meet with clients and attend conferences. 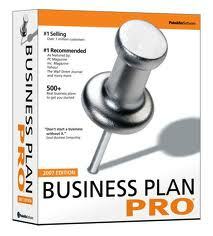 The time during 2005-2007 was amazing as every month saw growth and progress in the business. The Exchange continued to grow, improve in quality, and it started making real waves within the online advertising industry. We felt like underdogs taking on the establishment to change the industry, which is one of those things that makes startups so much fun and addicting to many people. There were problems with quality, hiccups with the exchange scaling, and problems with spyware and other issues that the company took very seriously and worked through diligently. I think those things really kept us on our toes and kept us so busy that you really couldn’t stop and marvel at the fact that we were doing billions of impressions per day by the time 2007 hit. During 2006 though our team in Eugene had noticed that small to medium publishers were having a tough time working with the complexity of the Right Media Exchange. We used the APIs to build RMX Direct which was later renamed to Direct Media Exchange. This product was the first self-service publisher yield optimizer that was a simple ad server that allowed publishers to get demand from the Exchange while also managing and auctioning their inventory to 3rd party ad networks like Google Adsense, Valueclick, and others. This was a forefather to the products later built by companies like Pubmatic, the Rubicon Project, and AdMeld. 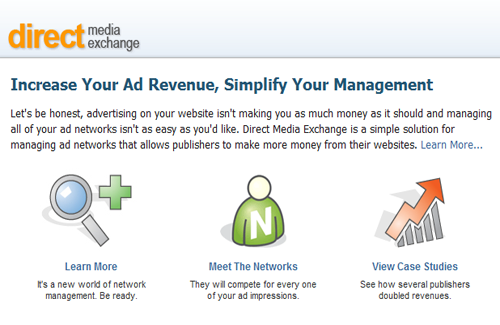 Direct Media Exchange also was experiencing the same kind of rapid growth and success of the Right Media Exchange, but at a smaller scale that was a bit more under the radar. The team in Eugene was pretty proud of what we’d built together. We headed down to Sunnyvale and met with Ryan Christensen, who was doing Pricing and Yield Management for Yahoo!’s display business. We managed to get through the meeting even though we lacked context and really spent most of the time learning about how Yahoo! was currently running their non-guaranteed business and talking about how Right Media’s Exchange could help with some of those problems. Later that summer I was in New York when a group from Yahoo! came to meet with the Right Media executive team. The morning of the meeting, Ant and I were tasked with building a presentation for one portion of the meeting. As a great example of the hectic pace of the startup world, we again lacked context and tried to scrap our way through it anyway. As you’d expect, we created a terrible presentation that wasn’t usable for the meeting. The meeting apparently went well, but the panic I felt that morning was something I’ll never forget. In October of of 2006 things really started to get more real as Yahoo! invested $40 million into Right Media for 20% of the company and to become a major client of the Exchange. This was a huge win both from a company stability perspective financially, but it also provided a marquee quality client who validated the Exchange in the eyes of the industry. Of course, there were feelings internally and rumors abound through the rest of 2006 and early 2007 that Yahoo! might want the whole company. As visitors from Yahoo! became more frequent to the offices in 2007, it was a not so subtle secret they were doing due diligence and diving deeper on our technology. After spending Monday through Thursday at a conference my flighted landed in Eugene and I received a call from Christine Hunsicker our COO. She said I needed to be in New York by 9:00 am the following morning to demo Direct Media Exchange to people from Yahoo! and to bring along our lead product manager and lead engineer for the product. I told her this would be tough as I hadn’t been home all week and it was already Thursday afternoon. She said she wasn’t asking if I could do it or not, so we drove the two hours to Portland to take a red eye to New York. We flew all night, changed in the bathroom at JFK, and then made it to the Right Media offices a bit late. The three of us walked into the main Right Media conference room where there was a few Right Media executives and then a number of executives from Yahoo!. At the time I wasn’t familiar with any of the Yahoo! executives as it was my first time meeting them, but it was a pretty high-powered tech crowd in the room consisting of SVP of Product Mark Morrissey, SVP of Engineering David Ku, Chief Scientist Qi Lu (now the President of Online Services at Microsoft), VP of Product John Slade, and halfway through the meeting Jerry Yang also made an appearance. We were asked to demo Direct Media Exchange so we connected our product manager’s laptop to the projector. Remember, this was after a night of travel and no sleep. As the demo begins, the first thing everyone notices is his Firefox toolbar is set to Google as the default search engine. Oops, strike one! After some half-joking and half-serious comments about the toolbar, I gave an introduction to the product and ask our product manager to login to the application. He then clicked on the username form field and hesitated. I wasn’t sure why he was doing so, but he gave me a look that let me know something was wrong. I urged him to proceed, and he typed in a Gmail address to login to the application. Apparently it was the only address he had with administrative priviledges. Oops, strike two! We endured some more jokes that were increasingly serious, but then continued to give a quality demo of the application with plenty of good dialog. I thought we’d moved past the early mistakes when we were asked whether we were building a specific future enhancement. Our product manager responded “Absolutely, I’ve already created some mockups I can show you.” I wanted to bang my head on the desk at that point, as I knew what was coming and he opened up mockups that he’d recently created in MS Paint. That’s right, they were screenshots of our app with hand-drawn new features scribbled on it. A true professional mockup! Strike three? Fortunately, the strength of what we’d built and the traction we’d achieved with Direct Media Exchange in the demo was what ended up hopefully being memorable. The company overall ended up being a compelling option for Yahoo! after Google had just ponied up $3.1 billion for DoubleClick just a few weeks earlier. Yahoo! purchased the remaining 80% of Right Media it didn’t already own for $680M making it one of the largest ad technology acquisitions of all time. Getting acquired is an extremely interesting experience. Of course the team celebrated, as it was a large acquisition and it really validates what you’ve been working so hard on. This was the goal right? Or at least one of the big goals? On one hand you are happy knowing that your company’s stock is now liquid, and you have the hope of the business becoming even bigger and achieving more success with the “endless” resources of the acquiring company. It was also exciting to go work for one of the pioneers of the web who had big businesses in so many areas online. However, even having never been through an acquisition, I knew many things were going to change. Immediately the people in our Eugene office began to wonder what would happen to them and if our Eugene office would be closed. At this point we had over 30 employees in our Eugene office but people wondered if they’d have new managers, if they’d be laid off, and what would happen to the products they were working on. The acquisition process and integration itself for me personally was good. It could have been improved probably with more structured education on Yahoo!’s businesses and such, but I felt very welcomed by employees at Yahoo!, and got to immediately start spending time in various Yahoo! 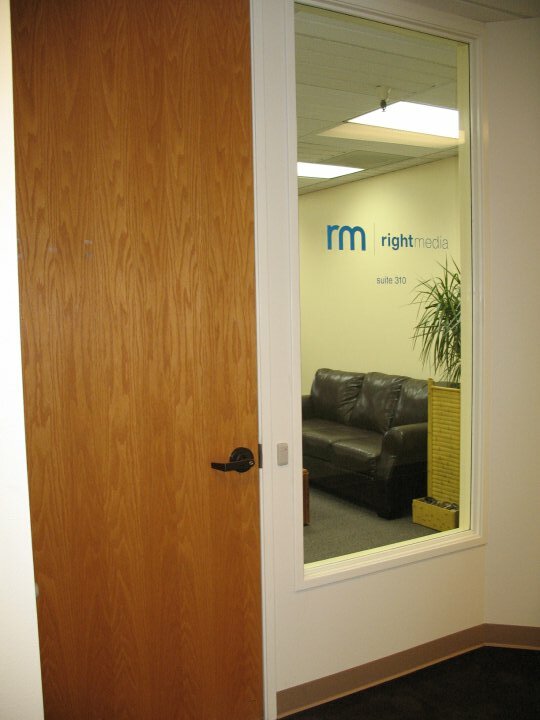 offices teaching people about Right Media and what we did. On my first trip to the Burbank office a group of employees I had just met invited me with them to an Anaheim Might Ducks playoff hockey game. It was a good experience to get to know them personally and see my first live hockey game at the same time. Moving to their IT systems and and way of working was also pretty easy, but there were still challenging questions the companies had to work through. What would happen to the Right Media brand? Do we integrate websites? What do we switch to Yahoo! technology and what don’t we? Can we still use Google Analytics to track our sites? Most of these things got resolved over time without too much trouble. After the honeymoon period was over more challenges began to pop up. Specifically, there were strategic questions that showed everyone was not perfectly aligned on where everything was headed and how it should be built. Should we build on top of the existing Right Media technology? Should we start and build a new ad platform from scratch that has the functionality of Right Media combined with the guaranteed ad serving system Yahoo! had built in house? After the decision was made to build a new platform from scratch (APT) there were then issues trying to keep building Right Media Exchange functionality as many engineers had been moved to work on the new project. Additionally, many engineers had to work on scaling Right Media itself with all of Yahoo!’s added volume and integrating with Yahoo!’s finance systems. This left little room in the road map to keep pushing Right Media as hard as many of us had hoped. Despite this, there was a lot of excitement over the new system being built and the strategies to do some amazing thing in the display advertising space. Personally, I had been promoted and was excited about taking on responsibilities at Yahoo! that also went outside of Right Media. It was interesting to learn about new areas of Yahoo!’s business and work with so many new people within the company. I’ve heard other acquisition stories where people from acquired companies were buried in the bigger organization and not given prominent roles. Yahoo! definitely gave various people at Right Media strong roles within the company, although there are definitely people who did get stuck in unfortunate situations. Not too long after getting settled in at Yahoo!, Terry Semel was replaced with Jerry Yang as the CEO and Microsoft went public with their acquisition offer. This was a very interesting time to say the least. 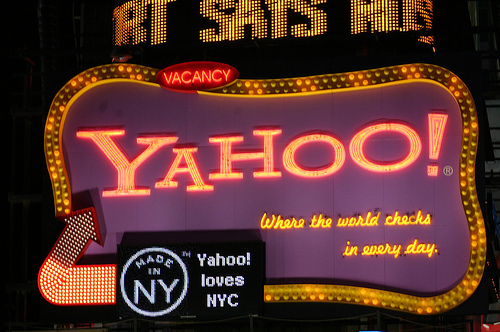 It was a rapid ascent to being a startup striving for attention every day to having Yahoo! on every news site all day long with rumors and speculation about the Microsoft acquisition. People tried to not make it a distraction, but I think everyone would be lying if they said there wasn’t a lot of time spent reading that speculation online every day and talking casually around the offices about the situation. For the most part it seemed like most projects kept their momentum as everyone knew that it was a long way from happening for sure. Everyone I talked to internally loved the idea of locking in a stock price in the $30s, but no one was very excited about having to integrate two companies of that size with different cultures and missions. I felt the same way, and was wondering what would happen to Right Media in the situation of an acquisition. Of course, it all fell apart. It was followed by the attempted search deal with Google and it ended Jerry’s time at CEO. In retrospect based on the stock price alone you’d have to classify that it was a mistake for Yahoo! to not take one of the Microsoft offers. However, Yahoo! is still a profitable independent company today which I’d say is better for the overall health of the web than if the acquisition had been successful. 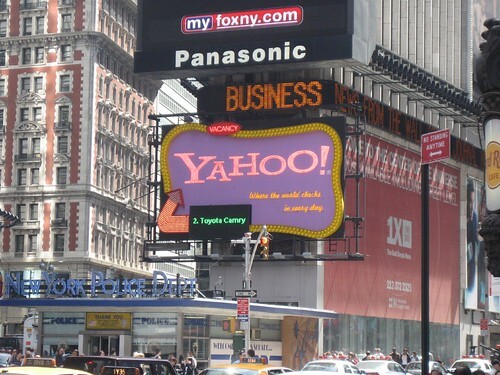 Besides the Microsoft acquisition, Yahoo!’s display strategy was also affected by the economy going into the recession. A lot of the ideas around building guaranteed cross-selling relationships for display didn’t make a ton of sense when every publisher was struggling to sell their own inventory alone. This turned a lot of the development of the APT platform to be on building it internally for Yahoo! while continuing to support the Newspaper Consortium who was using the product to run their display ad businesses and sell Yahoo!’s inventory to local advertisers. The soured economy led to two rounds of layoffs as well. Laying off members of my team and seeing former Right Media employees in Eugene was definitely the lowest point at Yahoo!. Some of the decisions on who to layoff just didn’t seem to make any sense, although struggling to figure it out has never gotten me anywhere. That being said, the company definitely felt overstaffed to me at the time, so it seemed like layoffs did make sense for Yahoo! overall. After all that drama, Carol Bartz was brought in as CEO and began to make changes throughout the company. Carol did a nice job shutting down certain products and businesses, selling some pieces of Yahoo!, and the change brought some executive turnover and org structure changes. Unfortunately, one of those products that got shuttered was Direct Media Exchange. While it was sad for our team in Eugene who built it, the reality was that the code hadn’t been touched since the Right Media acquisition. The product had continued to grow and was doing over 20 billion impressions a month and was easily profitable since there was only a small team doing customer support for it. I was a believer though in the company’s mission to focus, and smaller publishers were not a priority of the company as also demonstrated by the shutting down of the Yahoo! Publisher Network product for small publishers. The major area though that Carol “outsourced” was the search technology business to Microsoft. This became a huge strategic focus for the company and I took the opportunity to move completely out of the Exchange area into B2B Marketing to run the marketing for the Search Alliance with Microsoft. It was a nice change of pace to work on search, work with Microsoft directly, and to work with a new group within Yahoo!. During this period our office in Eugene was closed as our lease ran out and we were down from 30+ employees to 7 after the two rounds of layoffs, people moving to other Yahoo! offices, or leaving for other job opportunities altogether. It became clear to me over this time though that I was getting the entrepreneurial itch again and I wanted to get back to building products. One of nice things about a big company is there are specialists to perform almost every task, but I felt more and more like I spent my whole day just talking to people internally while doing status reports and internal presentations. While there is some value in that, it feels like I was disconnected from products and customers. I could have explored moving into other parts of Yahoo!, but I really wanted to start a company and get back to being an entrepreneur. The bottom line was the whole thing was a positive experience for me. I’m glad Brian initially recruited me into it and that the Right Media executive team was supportive of building a presence in Eugene. It’s interesting though is how perspectives can differ, because I know some people at Right Media felt the acquisition was a very negative experience for them. For me though it was positive to have Right Media stock become liquid, I was exposed to many things I never would have learned in a startup or small company, and I got to have front row seats to some very interesting things happening in technology. The best part really may have been many of the friends I made along the way, many of whom I’m sure I’ll work with again. Not a bad way at all to spend the early part of my 30s. I wish the ending would have turned out different for Direct Media Exchange, and I wish the momentum of the Right Media Exchange wouldn’t have slowed down. As I was leaving Yahoo! though, it appeared that more emphasis was being put back on that business so hopefully that continues that way. As a follow up to my previous post about my excitement for the Right Media Open, I should not that my excitement level just rose as we’ve announced that Chief Yahoo! Jerry Yang will be doing a fireside chat keynote at the Right Media Open. Most likely the topics of discussion will hover around the new digital advertising world and how Yahoo! is taking part in it. Yes, like everyone else I think Facebook is a well-done and valuable internet property. They’ve executed really well, managed to steal the thunder from Myspace, and are the darling of Silicon Valley. But until they prove they can monetize their audience in a very powerful manner, how is a $10-$15 billion valuation justified even in these bubbly times? At a previous job I was in charge of the ecommerce and content properties and web analytics was one of my big areas of focus. Our primary analytics provider was WebsideStory (now called Visual Sciences), and each year they held a user conference where customers of their product got together with the staff at WebsideStory to learn, share, network, and have fun. It was an event I enjoyed a great deal as a customer and someone interested in the analytics space. What the Heck is an Ad Exchange? An experience today made it blatantly clear to me that being in the ad exchange business I take it for granted that I know what actually is an ad exchange. I’m amazed, but it had never really occurred to me that most people think an ad exchange is more like a link exchange. Meaning that an ad exchange is a system where websites swap ads with each other. That really isn’t the case at all, but based on the words themselves and the concept of link exchanges I can see how people come up with that conclusion. Battle of the Advertising Superpowers: Who’s Got What? It’s been a crazy couple of months. 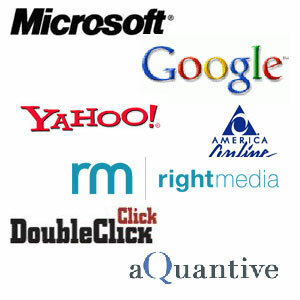 Not only did my employer agree to be acquired by Yahoo!, but our competitive landscape has changed dramatically with Google acquiring Doubleclick, Microsoft acquiring aQuantive, WPP acquiring 24/7 RealMedia and AOL acquiring AdTech AG to go along with what they already own in Advertising.com. Additionally, there are still some other large players who are also in the game such as News Corp./Myspace/Strategic Data Corp, and IAC/Ask.com. Obviously this is a big land grab for these large companies, combined with trying to get innovative companies who are pushing things forward in online advertising. The Wall St. Journal talks about the ad exchange concept and how it relates to these acquisitions. The media and blogs have been covering these stories quite a bit, but I’ve seen a lot of writers and commenters really not having a great gasp on what pieces of the advertising business each company has now, how they all stack up, and what it all means going forward. So, I’ll try and help out. Our CEO Mike Walrath just had a good interview published that answers a lot of the basic questions about the Right Media Exchange and how it functions. If you’re curious about exchanges, it’s a good read. It’s amazing how fast things change in a year or two. After being a company that had little to no press coverage, it’s come fast and furious ever since Yahoo! invested in Right Media last October. Now the New York Times has a brief history of Right Media in their recent piece “Your Ad Goes Here”. Yahoo Acquires Right Media: I’m a Yahooligan! The New York Times, jumped the gun by a few hours but the story is out that Yahoo has acquired my employer Right Media.